Our state-of-the-art machines allow reel-to-reel or reel-to-sheet printing options, packaging and print support, application of chips, adhesives and metallic foils, combination and production of self-adhesive substrates. Not only do we print, but we also deliver innovative solutions combining print with cutting edge technology. The flexographic technique utilizes photopolymer printing plates which transfer ink to the substrate. This technique has largely improved over the years and offers increasingly higher quality of print. However, it is typically used for less complex artwork. Utilizes water-based inks and the print should be protected with varnish. Typically used for printing food labels that require low-migration inks. UV printing inks are used, and the print can be coated with varnish. Different UV low-migration printing inks are available in our portfolio. Top quality roll to roll offset printing. Ink is transferred by a special oil-coated aluminium plate. This is the so called flat print. Because the transfer of gradient is within 0% to 100%, this technique offers the highest quality of print. OFFSET is often associated with sheet print as this technique is very popular in sheet production. We use roll to roll offset printing presses. UV offset printing inks that are used in this printing technique have other properties than flexo printing inks. Contact us to get more details. Screen printing offers well-defined and saturated colours on metallic or transparent surfaces. Raised print and a large amount of ink ensure an eye-catching finish. Often used for ground printing to ensure a perfect finish. In screen printing, ink is transferred on a special cylinder made from screen coated with photosensitive emulsion. Because this technique utilizes the largest amount of ink being transferred to the substrate compared to other techniques, it is often used to emphasize or highlight some of the graphic elements on a label. Transparent varnishes can be used in screen printing to reproduce the effect of raised lettering or graphics, or raised dots of Braille. 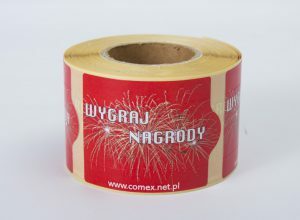 Excellent quality label enrichment is available using metallic foil: gold, silver, copper and other colours. Hot and cold stamping is performed on one production line or, for digitally printed labels, on a separate machine. 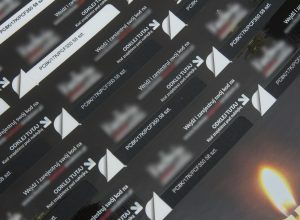 A printing technique whereby metallic foil is efficiently transferred onto the label’s surface, including uniform colour background and small details with sharp edges. It involves transferring a metallic foil onto the printing surface using a special die heated up to approx. 100°C. Additionally, the image can be embossed, which enhances the aesthetic value of the label. This is an efficient and quick technique whereby metallic foil is efficiently transferred onto uniform colour background and larger details. However, it does not work well on smaller details with sharp edges. 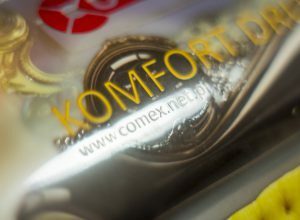 It involves transferring a metallic foil onto a printing surface using a polymer plate and a special UV-cured adhesive. 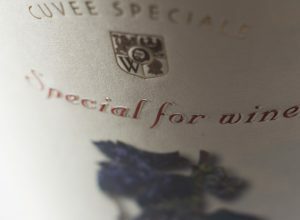 Raised and noticeably embossed surface is one of the most refined ways of label enrichment that enhances product’s quality. Embossing enhances the aesthetic value of a label and helps to emphasize some of the graphic elements. 2.5D graphics on a label is obtained by pressing the substrate between two dies to create an embossed impression of a previously printed pattern (logotype, letters or other embellishment). 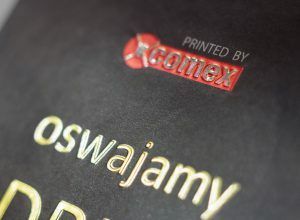 Embossing works especially well on gold, silver or mould-made paper substrates and provides an exceptional finish. The only printing technology that utilizes no printing plates. Although the speed of printing is low, unlike in other techniques it takes much less time to start the machine or change the graphic design, thus allowing manufacturers to offer competitive prices for short quantity runs. This technology involves elctrophotographic transfer of toner onto the substrate surface at higher temperatures. The print must be protected by UV varnish or laminated. Recommended for short quantity runs and less complex artwork printed on paper or PP film. This technology utilizes liquid toner that is UV-light hardened. This allows for obtaining highly durable and well-coated print that does not need to be protected with UV varnish. It offers high quality and a wide selection of self-adhesive substrates. Provides well-defined effect and saturated colours on metallic or transparent printing surfaces. Raised print and a large amount of ink ensure an eye-catching finish. Especially recommended for decorative labels that are printed on white and transparent PE, PP and PET films, as well as on metallic paper. In 2014 we purchased our second Braille printing system. It utilizes a technology that meets the requirements of Directive 2005/27/EC and new PN-EN 15823:2010 standard that regulates Braille printing on pharmaceutical packaging. The construction of the device is such that the text in Braille is easily applied onto standard labels as well as on peel off labels and directly on booklet’s laminate. The device is equipped with the FleyeVision system for print inspection to ensure that the text fully corresponds with the template approved by the customer and to control the accuracy of the printing process. Also, the system generates process reports. The legibility of Braille print is certified by the Polish Association of the Blind. We offer unlimited solutions to allow the most refined promotional ideas to come to life. 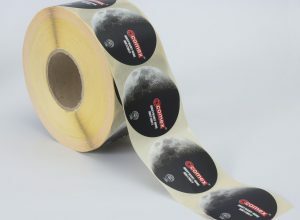 Any type of promotional label is possible to create, from the simplest sticker to very complex multipage label, including adhesive-free strips for promotions that require personalized label secured with scratch off ink. Personalization is available on any page, including on the adhesive side. 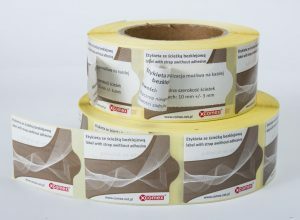 We are happy to support you in executing successful promotional or advertising campaigns by offering you our generous machinery resources and experience in printing self-adhesive labels in all categories, including sandwich, peel off, labels featuring application, multipage labels (booklets) and many more. 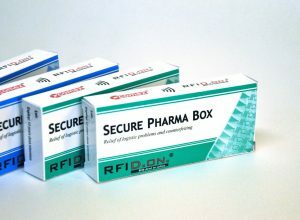 Visit our webside COMEX RFID to learn more about the available RFID solutions. We manufacture the following RFID standard labels: EPC Gen2, Mifare, and NFC. Logistic, stock-taking or library labels. Specialty labels: paper seals, electronic security seals. We deliver industrial printers, inkjet printers, labelling machines, barcode and RFID readers, and collectors. We design and deliver automatic identification systems, as well as barcode and RFID technology. Application of adhesive only in selected fields: edges, half of label as an adhesive-free zone, adhesive-free strip, selectively applied adhesive. These and many more options, like specialty substrate or laminate, are available to all customers. We always think outside of the box. Original ideas need special solutions and cutting edge technology. Our adhesive application machine is able to apply adhesives selectively. The available options include self-adhesive or selectively adhesive laminates and substrates that are originally adhesive-free. Adhesive-free zone and types of adhesive are always agreed with customers. We will manage even the most elaborate combinations of substrates. 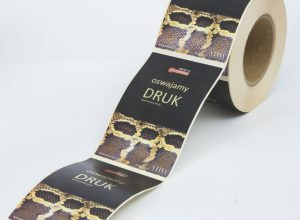 Unique machinery resources allow us not only to print labels on ready self-adhesive substrates, but also to produce our own compositions of self-adhesive substrates that meet customer’s requirements. Specialty substrates are produced without specifying the minimum quantity and with short period of availability. Adhesive or silicone applications and substrate combinations are also available. We only cooperate with reliable suppliers of adhesives and adhesive-free substrates (paper, foil, laminate) to produce the top quality self-adhesive substrates. We have more than 600 customers from Poland and abroad, and our offer is always made to individual specifications. Select your industry and learn more about our offer.